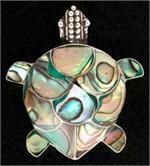 Hawaiian Jewelry & Gift Special! 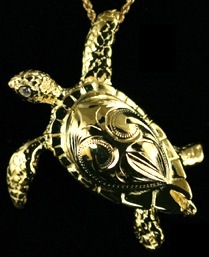 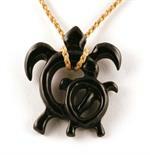 Stunning sterling silver and genuine gold overlay Hawaiian jewelry sea turtle ("honu") pendant with detailed etchings throughout. 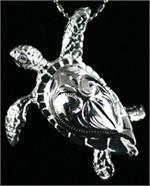 Honu, also known as the Hawaiian Green Sea Turtle is found near the shores of most beaches in Hawaii. 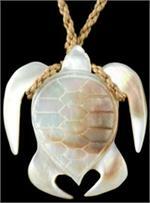 For detailed facts and information about Hawaiian Sea Turtles, please click here.